Is 7 DFBX just a gimmick or can it actually help with weight loss? 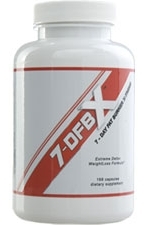 7 DFBX is a weight loss formula from the USA which claims to create rapid weight loss in seven days. It is made from a blend of 35 ingredients and claims to be ‘the world’s fastest acting fat burner’ creating dramatic weight loss in just seven days. Despite the hype by the manufacturer that what we are looking at here is the worlds best fat burning supplement, there is very little evidence to support this claim. In a nutshell, the product has no clinical backing, gives no breakdown of the ingredient quantities to prove they are in strong enough doses to be effective, and gives no specific guidelines as to the amount of weight you can expect to lose. Initially we would approach this product with scepticism, as on the face of it, it does appear rather gimmicky. 7-DFBX claims to be made up of 35 natural, safe ingredients which cleanse the digestive system, increase metabolism to burn more fat, increase energy levels and suppress the appetite. 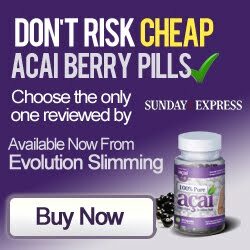 Some reviews on the official site claim to have experienced weight loss of around 13 lbs in 7 days, however there are numerous negative reviews on independent sites such as Amazon which claim the product is totally ineffective. 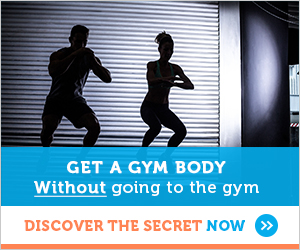 It is concerning that 7-DFBX claims to be the fastest acting fat burner, but it will not stipulate a guide as to how much weight you can expect to lose. 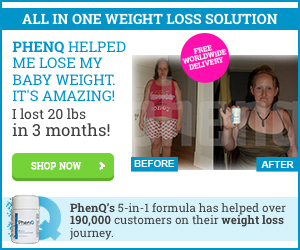 The 7-DFBX website states ‘depending on how much weight you have to lose, your diet, and your exercise routine, each user will experience different amount of weight loss.’ How can a product be so sure of its effectiveness on the one hand, but unable to quantify it on another? Another cause for concern is that 7-DFBX is the successor to the previous 7-DFB, the only difference being that it is a double dose of the original formula. No doubt when 7-DFBX was launched there would have been similar hype and fanciful claims, so to introduce a product which is just a double dose suggests that if the previous formula was unsuccessful why would a double dose be any better? No clinical trials to support claims. Outrageous claims on the website with little evidence to support them. Lots of negative reviews online. Side effects could cause frequent bowel movements. Have to take a massive 16 tablets a day for seven days. Although 7DFBX is not available to buy in the UK, it can be purchased online from the official website at a cost of $19.99 for one week’s supply, $39.98 for two, $59.97 for three or $99.95 for six. 7-DFBX is being hyped as a quick and easy way to lose weight in seven days, without actually substantiating how much weight can be lost, or supporting these claims with any clinical evidence. In the event that massive weight loss can occur so quickly, will it be sustainable and will it be safe for the body? There are bound to be unpleasant side effects linked to the caffeine, such as hyperactivity and difficulty in sleeping, and with a massive 16 tablets to be consumed a day, the body certainly will get no respite in this intense seven day period. A couple of the ingredients, such as dandelion root is noted for its purging qualities, and Uva Ursi is a known diuretic, so any rapid weight loss could be attributed to purging the body rather than achieving weight loss through burning fat and expending more energy. The site already warns that you can experience frequent bowel movements, which furthers this argument. There are a number of ingredients which are clinically known to aid weight loss, however, without a breakdown of ingredients we are unable to assess if they are present enough to be effective. If you keep expectation levels fairly low, you might be pleasantly surprised, but if the weight of negative reviews online is anything to go by, I wouldn’t hold your breath.